Good product training goes a long way in enhancing the efficiencies of sales representatives. However, it is not an easy task to train sales representatives as they are constantly on the move. Besides this, most sales representatives think that sales training is tedious and not engaging. They are right because long duration and boring courses does not appeal to the millennial, as they have shorter attention span. So what do you think is the most effective training method for training these sales reps? Well, you need to go with a customized approach. 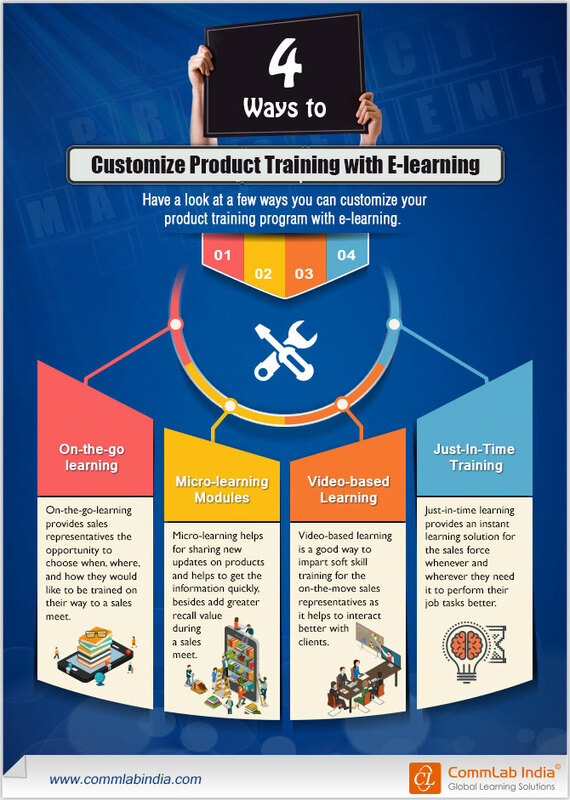 There are many ways of customizing such as you can present the same content in terms of micro learning, video-based learning, on-the go learning, and just-in-time training. Excited to know more about them? Then, checkout the infographic below.